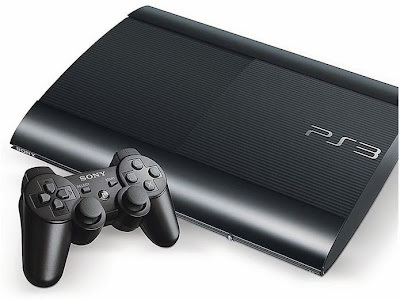 The PlayStation 3 was released in late 2006 and has since received hundreds of great titles. In 2015, even after the release of its successor, the Playstation 4, the device will continue to receive games. Check out the list of top PS3 games announced for this year. Absolute PlayStation classic, the first title in the award-winning Capcom's horror series will win a remake in high definition, it will reach your PS3 in January 2015. Among the main features are improved graphics, with new textures in the scenarios and characters. The game will also offer compatibility with 5.1 sound system, widescreen format and updated controls. Continuation of the title originally released for the Nintendo 3DS, Revelations 2 promises even more tense passages and strong enemies. As in the first version, the gameplay will take place while the player controls different characters. The game will force players to make a use even more cautious and strategic ammo and items that will be scarcer than ever. The long awaited new version of the popular Dice FPS also comes to the old generation of consoles, including the PlayStation 3. This time the focus is on conflicts between criminals and police, within large cities. Little information was revealed about the version for older devices, but it is thought that as well as seen in Battlefield 4, the game is well optimized. Following one of the most acclaimed independent games of all time, Wrong Number promises even more bloody invasions, masks stuffed with interesting skills and deadly weapons. The trailers released so far, you can notice that the main character has gained some new moves and abilities, as elusive and the use of two weapons. After much mystery and controversy over the new game series Hideo Kojima, The Phantom Pain was finally announced, and hopefully will have a version for the old warrior of Sony. The game promises to link the events loved the games and Peace Walker Ground Zeroes, and the little seen in the trailers, it looks amazing. The endless series Dynasty Warriors fans can celebrate, because the game will receive a new version in 2015, which will be released for the PS3. Set in China, the game promises more of the epic battles that established the title. One of the key names to the list of the most anticipated 2015, Mortal Kombat is back, and has guaranteed space on the PlayStation 3. With changes of promises in gameplay and enhanced visuals, the game has everything to be a recipe for fans fighting games. Among the new features are a way campaign based on the protagonists Sub-Zero and Scorpion, and the addition of new characters. Success of Atlus RPG known for its depth and long-term returns with versions for PS3 and PS4. The game will run on an entirely new graphics engine and is expected as one of the major releases for the year. Successful franchise of Sega, Yakuza always gave the talk, and the fifth version that will come to PS3 this year promises. The game will narrate the adventures of Kazuma Kiryu through the conflicts of the most respected mafia east.